Preview- "Krishi Vigyan Kendra, is the district level Farm Science Centre, established for rapid transfer of technology to farmer's fields. The KVK aim is to increase the productivity on sustainable basis and creating opportunity for greater economic activities in agriculture and allied sector. KVK identify the technological needs of the farming community and attempt to meet these needs through diverse activities like organization of training programmes, demonstrations, technology assessment & refinement, agricultural exhibitions, field days, campaigns and publication of easy to understand literature in local languages . 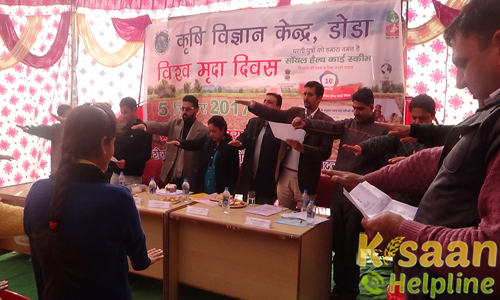 KVK Doda is engaged in organizing various activities and catering the agriculture extension needs of the district."